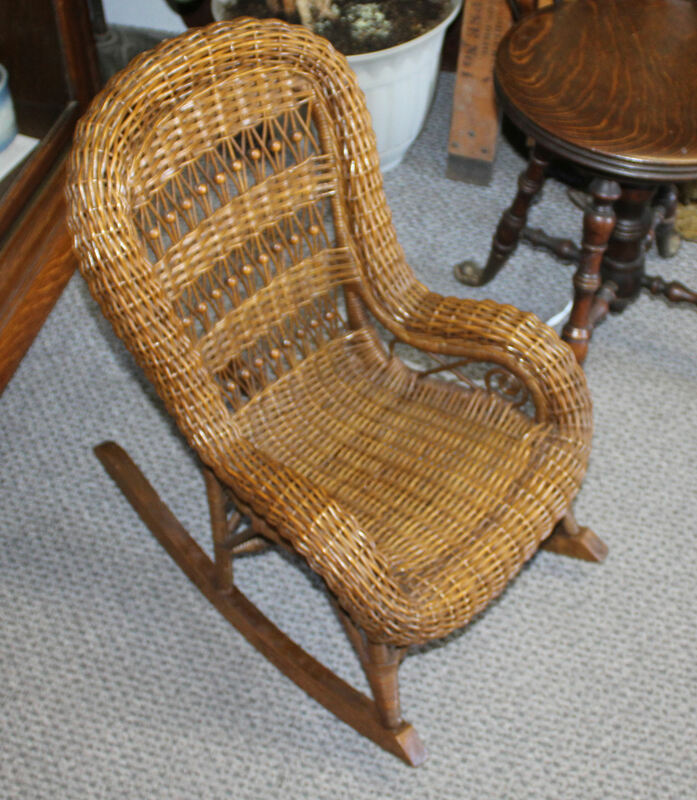 All original antique child’s wicker rocking chair that is in excellent original condition and it measures 24 1/2″ high is 15″ wide across the arms of the chair and approximately 22 1/2″ deep when measuring the rockers of this chair. Note that this chair almost has a stick and ball style to it with the unique design of the small balls added in the back of this wicker rocker. Don’t miss adding this rocker to your own personal antique or wicker collections!